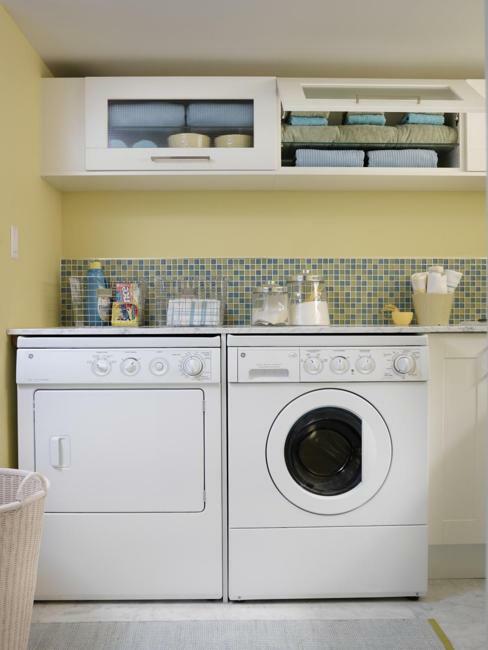 Small laundry room design is about creating functional spaces where chores do not get procrastinated but get done quickly and efficiently. 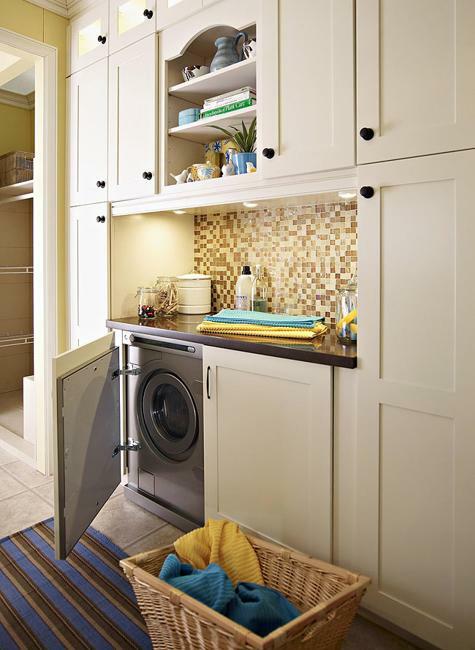 A small functional room is an essential addition to tiny, busy homes but a spacious laundry room requires efficient organization also, as any space can get messy quickly. 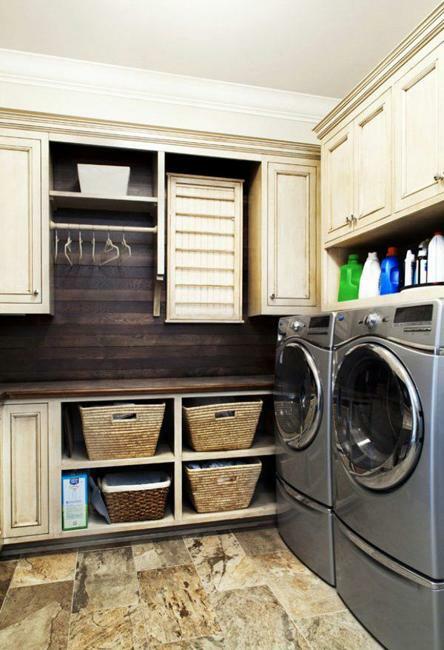 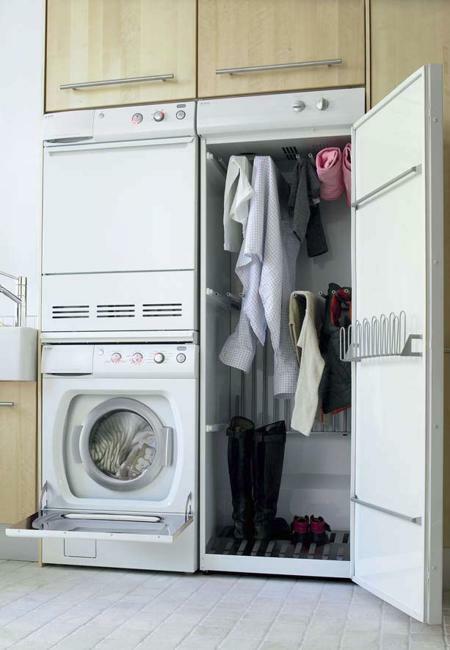 Lushome shares space saving solutions, organizing tips, and a collection of beautiful and functional small laundry room ideas that are inspiring and useful for improving homes and creating attractive laundry room designs. 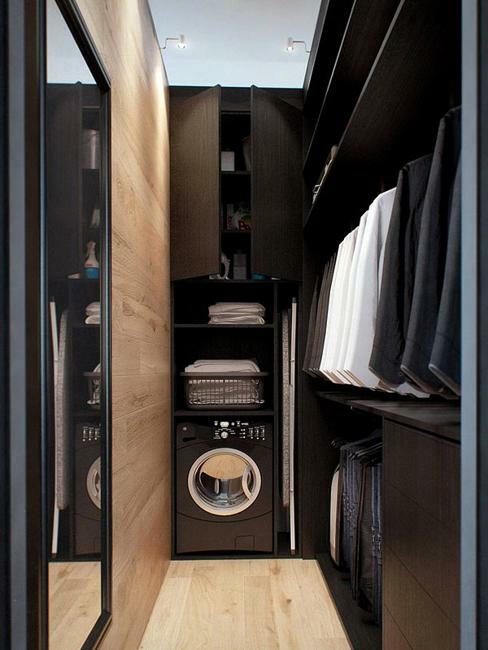 The smart interior design prioritizes storage and organization. 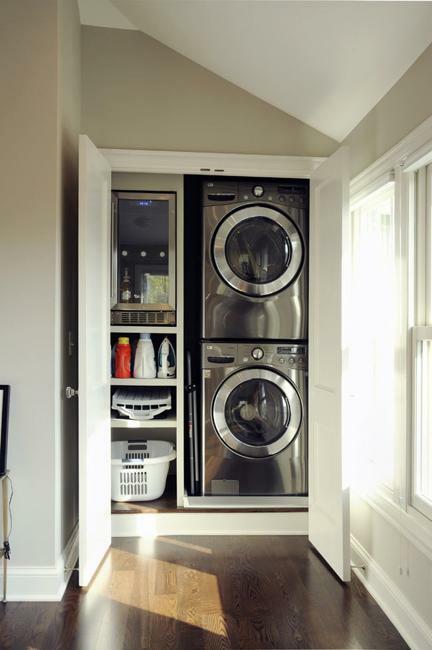 While improving functionality, space saving ideas offer practical solutions reflecting on well-organized small interiors can be. 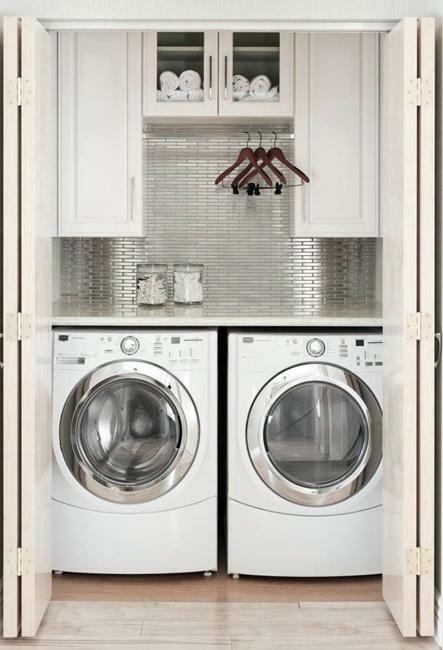 Often laundry rooms lack light, compact layout, and areas to fold and hang clothing for long-term drying. 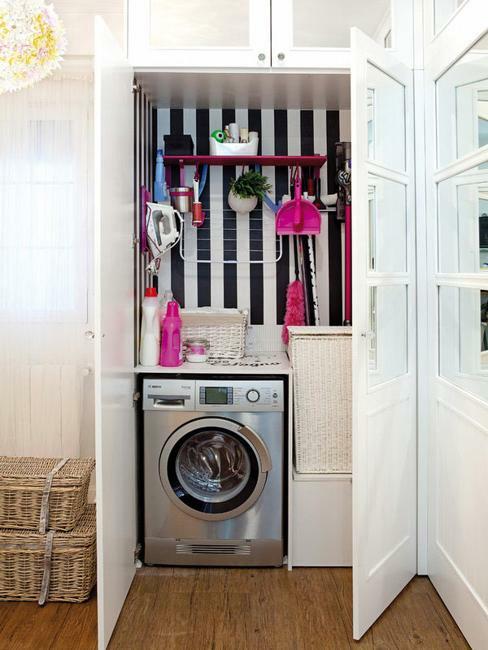 However, every tiny room can be neatly organized and brightly decorated. 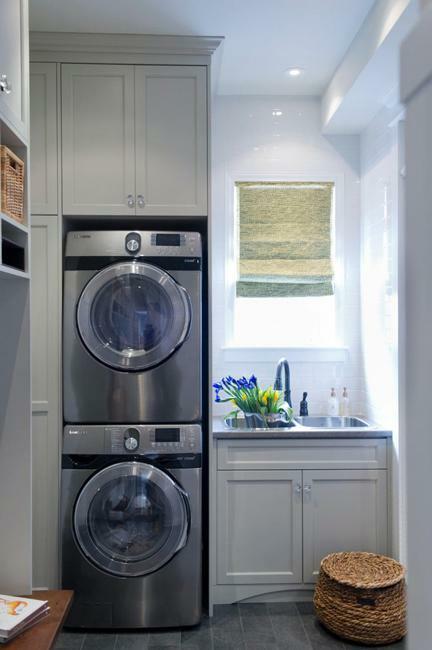 Small laundry room design is about functionality, organization, and efficient lighting. 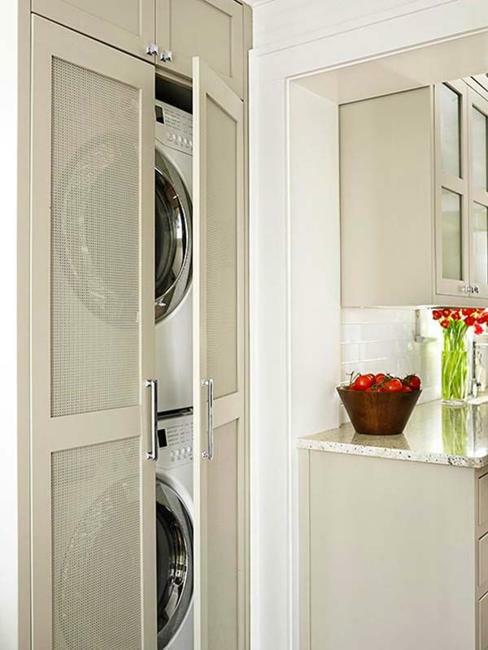 Light neutral color tones or bright room colors, clutter-free design, and practical materials are essential for improving functionality and overall appeal. 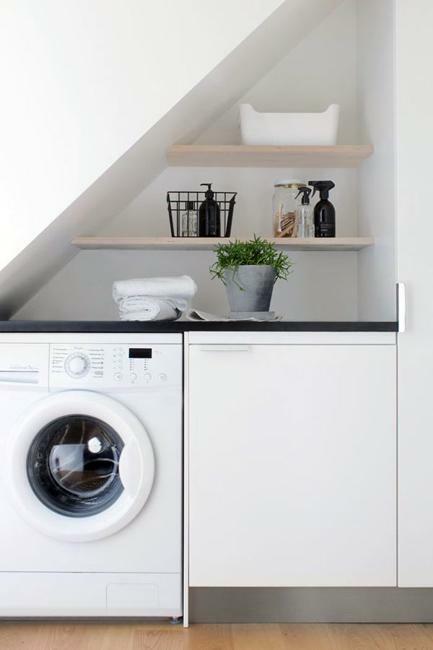 A fresh coat of paint, a small trash bin, storage shelves, a space-saving drying rack, hangers, a laundry basket and a small ironing board which is perfect for folding clothing, are practical ideas for a room makeover. 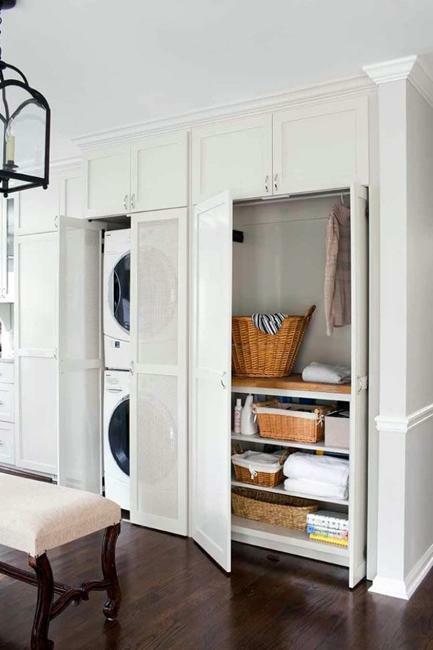 Some of these items can take up a lot of space, but compact models, space-saving layout, and clutter-free decoration work well for laundry room design while maximizing small spaces. 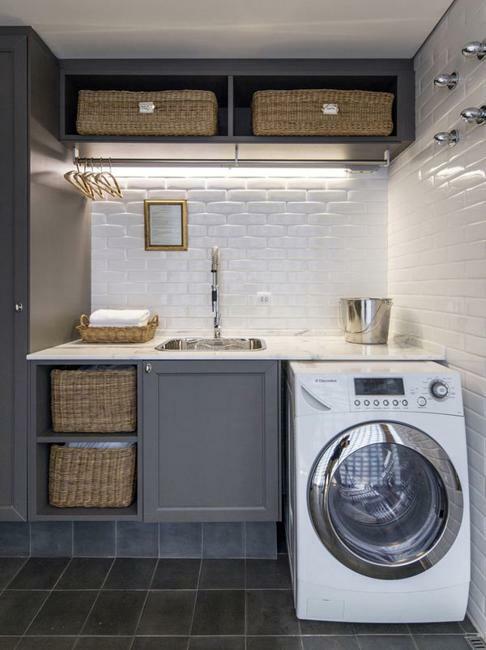 Check out laundry room ideas below, use the inspirations for designing your functional and beautiful small spaces while efficiently increasing home storage and improving your home organization. 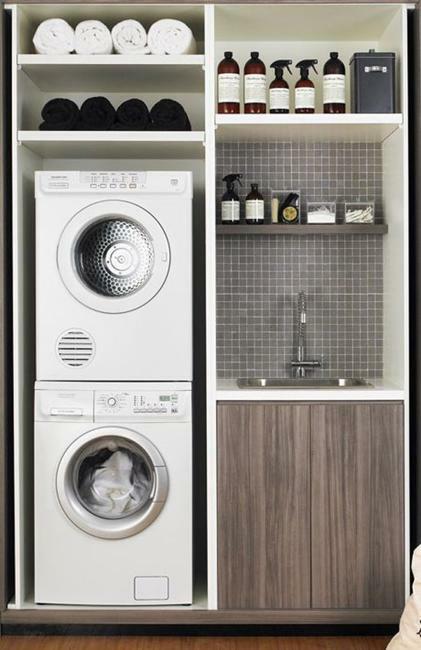 Make sure that your laundry area stays in order, clean, organized, and functional. 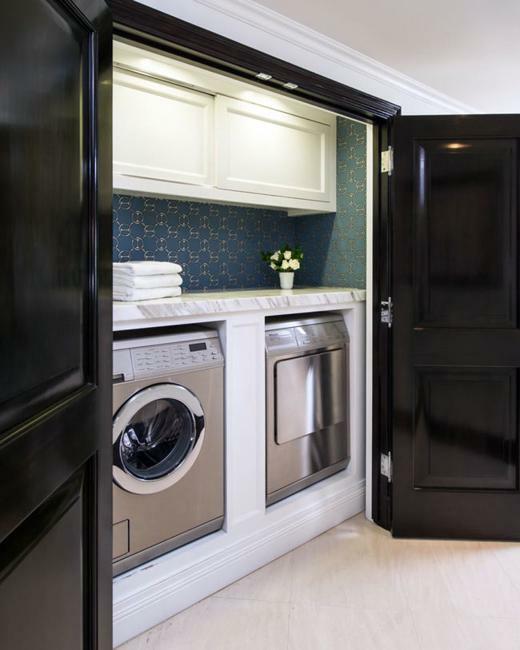 Easy, but practical ideas for a room makeover make a huge difference in creating bright, comfortable, and beautiful laundry room designs. 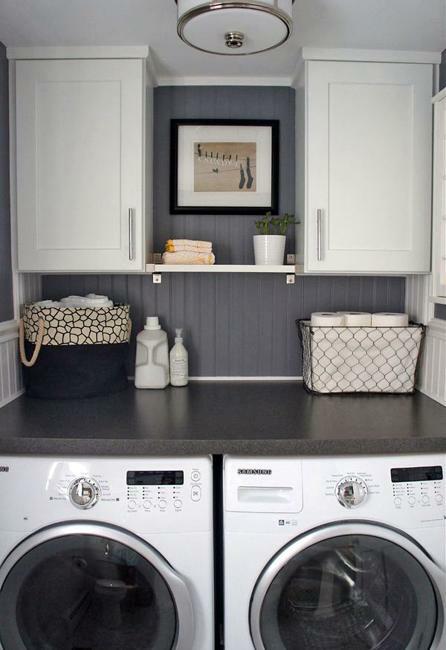 Open shelves and small cabinets with storage bins and baskets, light room colors and clutter-free decor are excellent ideas for small laundry rooms. 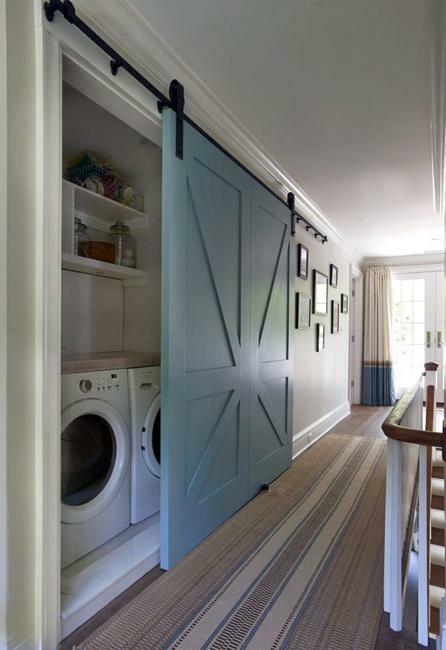 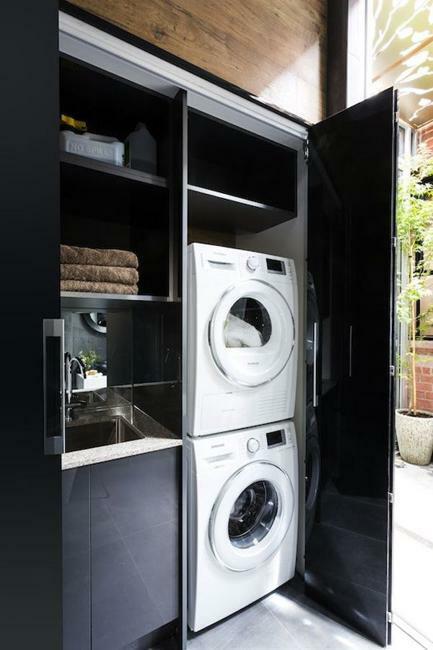 Sliding doors and built-in cabinets with integrated washers and dryers help create attractive and functional areas for doing laundry, folding clothes, and ironing in style. 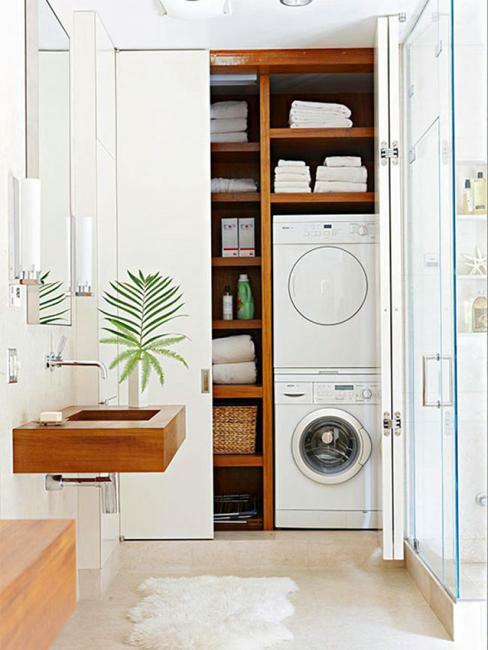 White paint colors and a touch of greenery help create bright and beautiful rooms also. 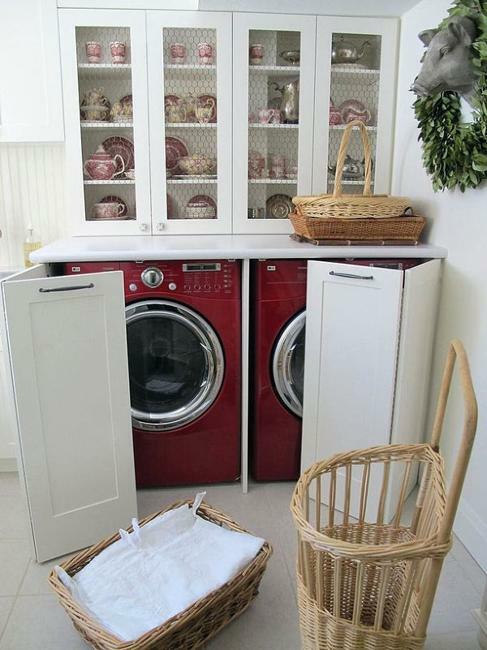 The simplicity of quick and light room decoration is a simple but efficient idea to stretch small spaces and brighten up laundry room design.